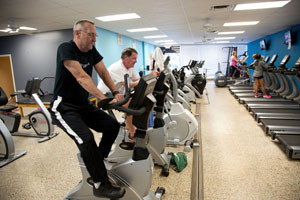 Get fit in a fun environment! 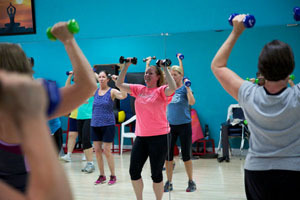 We offer Zumba, Yoga, Pilates, Tone and Strength, Move It, Mind and Muscle, and more. Try them all. We know you’ll get hooked! Whether you are just starting a fitness program, or need a little assistance to achieve your wellness goals, an NSAC personal trainer can help. Meet your fitness goals using Life Fitness Treadmills, Precor, Life Fitness Elliptical, True and Star Tac bikes, as well as, recumbent bikes. Here’s to your healthy heart! Sculpt your body with Body Master Circuit, Power Master, plates, and dumbbells! Up to 500 pounds available to you. 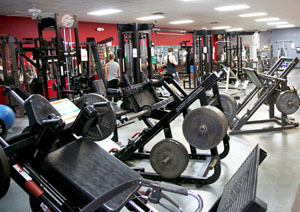 LARGEST FREE WEIGHT ROOM IN AREA!